The Best Singapore Travel blogs from thousands of top Singapore blogs in our index using search and social metrics. Data will be refreshed once a week. 2.31 Guitar 123 Singapore Food and Travel Blog! Singapore Travel newsletter is a comprehensive summary of the day's most important blog posts and news articles from the best Singapore Travel websites on the web, and delivered to your email inbox each morning. To subscribe, simply provide us with your email address. Singapore About Blog A Singapore travel blog showcasing city guides, hotel reviews, food recommendations and travel tips. Facebook fans 3,895. Twitter followers 509. Singapore About Blog Planning to visit Singapore? Look out for insightful travel tips from us & our fans, and information on exciting signature events. For recommendations on where to go, where to stay, where to dine and what to do in sunny Singapore. Facebook fans 2,433,023. Twitter followers 48,227. About Blog Expedia Singapore Travel Blog takes you around Asia & the world. Travel tips & holiday inspiration from experienced travellers. We aim to introduce Singapore’s travel community to new and exciting destinations and activities to do around the world. Facebook fans 6,455,224. Twitter followers 15,218. About Blog Singapore Airlines’ award-winning travel magazine is online. Get the latest travel news, destination guides, tips and ideas to inspire your next trip. Facebook fans 3,178,129. Twitter followers 583,238. Singapore About Blog PassportChop is a blog about Zhiqiang and Tingyi’s travel experiences around the world. It is currently one of the top travel blogs from Singapore and is known for its detailed itinerary. It is popular for its detailed trips and unbiased reviews of places that they feature. They also give dos and don’ts when visiting a place. Facebook fans 12,221. Twitter followers 21,311. Singapore About Blog Singapore Globetrotters whose dream is to see as much of the world before we die. Read about the Singapore Travel couple as they blog about their adventures, trips and travel tips at their Singapore Travel Blog. Facebook fans 2,977. Twitter followers 141. Singapore About Blog A Singapore travel blog is written for the busy working professional who loves to travel despite having limited time. From journals with tips from Jac's travels to help you plan your own trips, to a broad range of reviews & things that inspire wanderlust, the idea ultimately is to remind you to take that time off for your next trip and travel more when you can. Facebook fans 1,361. Twitter followers 1,805. About Blog Halal food guides and travel guides for Muslim travellers. Bookmark this for your next family outing! Facebook fans 151,094. Twitter followers n/a. Asia About Blog Alvinology is a light hearted content portal covering travel, entertainment, food, and lifestyle. This site was established in 2007 by blogger Alvin Lim. It was developed into a full-fledged site with a professional editorial team. Now, Alvinology is a popular portal for travel tips among Singaporeans! Facebook fans 33,311. Twitter followers 42,714. About Blog Plan a trip in Singapore. See places to visit, go, stay, budget travel tips, promo, tourist spots, & itineraries in Singapore. Facebook fans 12,165. Twitter followers n/a. Singapore About Blog Interns of the world. The Travel Intern is a Singapore-based community sharing our travel adventures and hoping to inspire other travellers along the way. Facebook fans 129,444. Twitter followers 100. Singapore About Blog 2bearbear.com is a Singapore Travel Blog that follows the adventures of Tom and Kate from all around the world. This includes things to do, attractions, food, places of interest, hotels and even Singapore Staycations! Singapore Travel Blog that shares all our travel experiences from all around the world! Facebook fans 10,274. Twitter followers 99. About Blog Singapore & Malaysia Railway Travel Blog features pictures and information of railways and other means of travel with a special focus on Singapore and Malaysia. Facebook fans 4,851. Twitter followers n/a. Mountain View, CA About Blog Comprehensive up-to-date coverage for singapore travel, aggregated from news sources all over the world by Google News. Facebook fans 23,172,221. Twitter followers 213,133. Singapore About Blog Hendric founded Pohtecktoes and decided to leave his job to travel the world. He is fascinated about trying new experiences outdoors. You could find more of his writing, GoPro videos, photography, and design on his site. Hendric somehow handled to make this work without costing too much through a mixture of freelance media, travel contests, and travel sponsorships. Facebook fans 7,407. Twitter followers 689. Singapore About Blog WanderLex is a Singapore Travel Blog about one guy, his camera and an irresistible impulse to travel. Join his adventures to find travel reviews and tips. Facebook fans 124. Twitter followers 19. Antwerp About Blog Irene’s Travel Blog is one of the leading travel website in Singapore and has won multiple accolades through the years. The writer has a keen interest in sharing her travel experiences about the countries and cities that she travels to. Facebook fans 1. Twitter followers 3,463. About Blog The adventures of a Singaporean couple who attempt to travel the world without breaking the bank or quitting their jobs. Facebook fans 2,141. Twitter followers n/a. Singapore About Blog Singapore Go, the only website Singaporeans Go too. We can be your search engine for everything you want to know. Facebook fans 104,243. Twitter followers n/a. Singapore About Blog A travel blog documenting the travel stories of a Singaporean family. Vin and Cat enjoy travelling with their children to different countries, learning about their natural, historical, cultural and fun places! Sharing our travel experiences and tips through recaps and stories! We plan our own travel itineraries to interesting places. Facebook fans 226. Twitter followers 35. Singapore About Blog Travel Inspiration 360 provides Keith's latest travel recommendations, updates & stories through a humorous, witty, fun and hard facts of sharing. Facebook fans 5,847. Twitter followers 141. Dubai, United Arab Emirates About Blog Planning a trip to Singapore? Get here comprehensive information on best places to visit in Singapore, what to eat, where to go, budget places to visit, accommodation and every thing you need to travel in Singapore. Facebook fans 2,237. Twitter followers 157. Singapore About Blog A Travel blog that tells of a Singaporean couple travel adventures through lots of photographs. It is also a travel resource for other like-minded travellers with travel itineraries, reports and travel tips, reviews of hotels, airlines, restaurants and places of interest. Facebook fans 111. Twitter followers 854. About Blog Jayndee is a travel blog created by a loving couple in Singapore. Follow Daniel and Jan as they travel and work their way around the globe. Singapore About Blog Asia Marvels is a Comprehensive & Reputable Travel Blog in Asia. We are group of travelers, backpackers who have many experiences in traveling around Asia. The purpose of making this blog is giving you the best tips, tricks, travel highlights for your amazing holiday to Singapore. Facebook fans 2,139. Twitter followers 399.
singapore About Blog An Asian female's travel and lifestyle blog, based in sunny Singapore. Facebook fans 729. Twitter followers 148. Singapore About Blog Blog by Pamela, a dreamer and part-time traveller from Singapore. My aim is to show you how to travel the world without leaving your full time job and breaking your bank account and much more! Join me in my travel journey as I discover the world through exploring places, experimenting different cuisines and experiencing local cultures. Facebook fans 118. Twitter followers 340. Singapore About Blog The T List is a Singapore-based travel blog that compiles destination information, experiences and tips. We share experiences, not itineraries. Facebook fans 139. Twitter followers 1,487. Singapore About Blog Travel and photography blog based in Singapore. 31. Guitar 123 Singapore Food and Travel Blog! singapore About Blog A blog about food and travel, with many pictures and videos. About Blog Singapore is the most developed country in Asia, as my experience to be not enough to fully discover this unique country-city by last five years. I saw the best spots to visit while in Singapore as well as how to save significant sums of money on sightseeing and restaurants in Singapore city. Planet Earth About Blog Sunrise Odyssey is a travel blog and was founded by a Singaporean couple, Gina and Daniel. Singapore couple travel blog by adventurous couple, constantly on the look out for exciting and undiscovered destinations around the world. Facebook fans 6,281. Twitter followers 189. Singapore About Blog Travelerfolio was created in 2008 and is now one of the leading travel blogs in Singapore. Eunice, the founder, does a lot of posting about amazing places from Singapore to Asia, Australia, Europe, Africa, and the USA. Her travel stories are crafted to inspire readers to explore more beautiful places around the world! Facebook fans 3,317. Twitter followers 3,625. 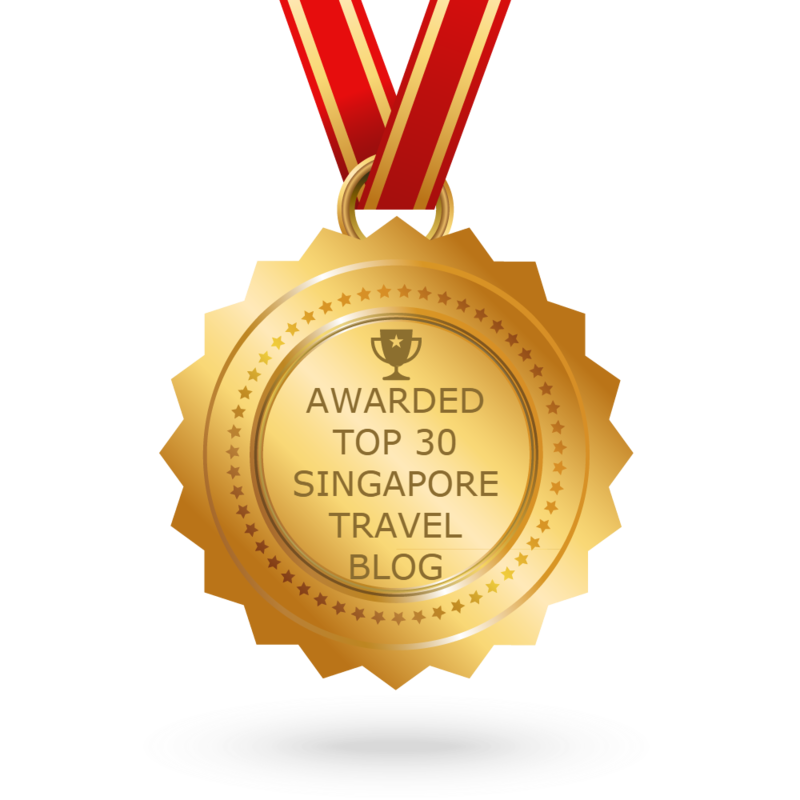 CONGRATULATIONS to every blogger that has made this Top Singapore Travel Blogs list! This is the most comprehensive list of best Singapore Travel blogs on the internet and I’m honoured to have you as part of this! I personally give you a high-five and want to thank you for your contribution to this world.